When a new Inhuman named Ulysses manifests uncanny precognitive powers, Earth’s protectors must wrestle with the consequences. 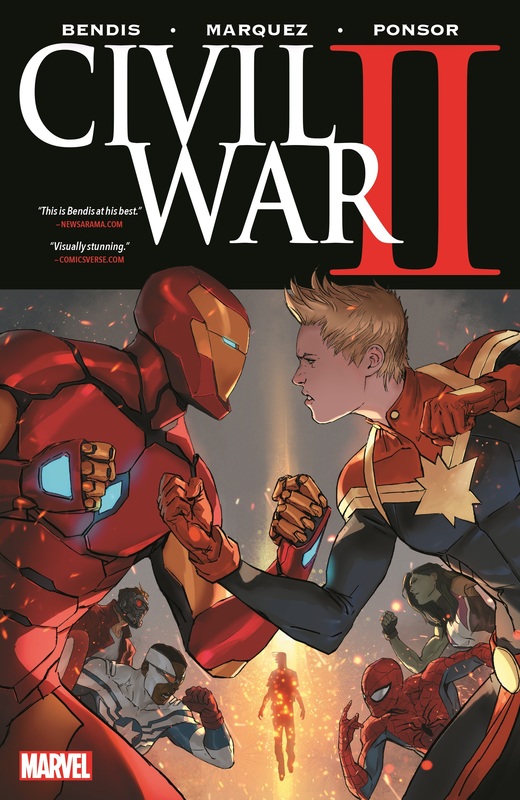 And when one of Ulysses’ visions leads to tragedy, an old friendship reaches a breaking point — and longtime teammates Captain Marvel and Iron Man find themselves at odds. Is it right to act now on crimes yet to be committed? Do the ends justify the means? And how reliable is Ulysses’ gift? As Avengers, X-Men, Inhumans, Spider-Men, Guardians of the Galaxy and more stand divided between the two figureheads, the battle lines are drawn. 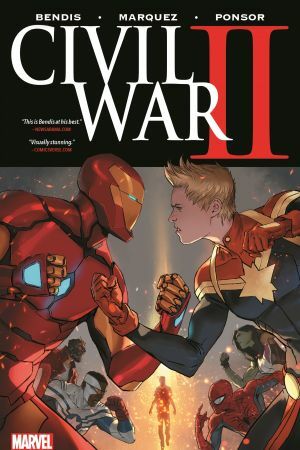 And when one of the greatest among them falls, the Marvel Universe is once again set on a path to war — but will the fight for the future leave one worth saving? 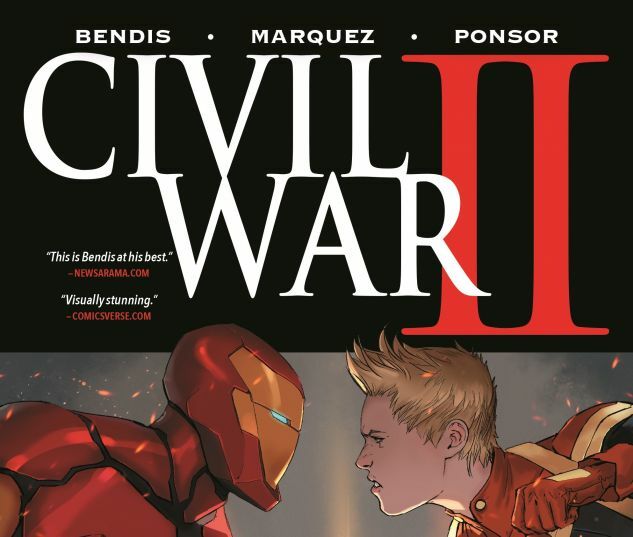 Collecting CIVIL WAR II #0-8 and material from FREE COMIC BOOK DAY 2016 (CIVIL WAR II) #1.